Best-selling aluminium ballpen with anodised finish and chrome trim. The unique positioning of the chrome rings gives this pen a much larger print area than standard. 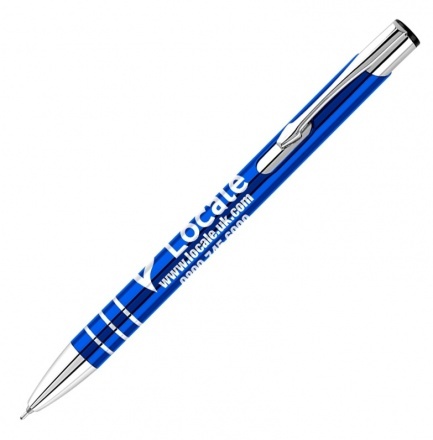 With it's sleek design our printed or laser engraved Electra ballpen is a perfect choice for your logo. Example price for a product with one colour print. Our standard lead-time is 5-10 working days from order and it's free.